Take a close look at his finely crafted Upper Makonikey residence that is not listed on any MLS service, Zillow or other similar online real estate sites. 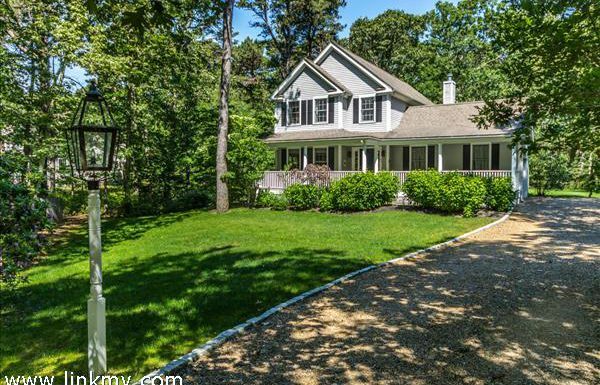 Set on 8.5 Acres, this handsome Dutch Colonial is the ideal year-round or seasonal home. Offering access to a sandy association beach on Vineyard Sound, rooftop deck with water views and more than 3,700 SF of living space, this custom-built home is a showcase for fine living. New to market this spring at The Preserve at the Woodlands in Oak Bluffs is a newly constructed colonial on Lot #11. Featuring 4 BRS/3.5 BAs, deck, front porch, fireplace and more than 3,400 square feet, this elegant wood-shingled home will be finished this summer. West Chop Summer Rental. Spacious West Chop home with its own beach across the street is now available for rent in 2019 for two weeks in July–Sunday, July 14-28. Fee per week is $7,900. 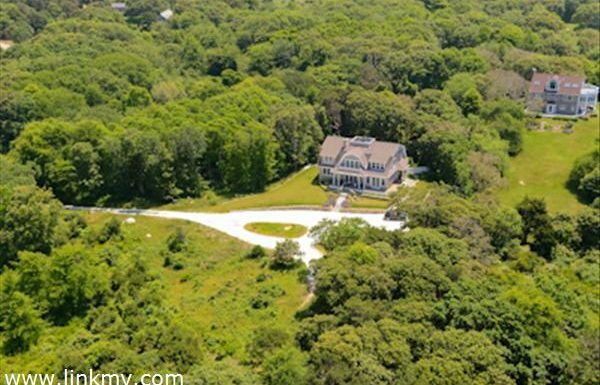 Property values on Martha’s Vineyard break the $20 Billion barrier as selling prices for real estate rise. A new home is being constructed by Ray Bilodeau in the private community of Tashmoo Wood in West Chop on the island of Martha’s Vineyard. Read more for drawings and price.